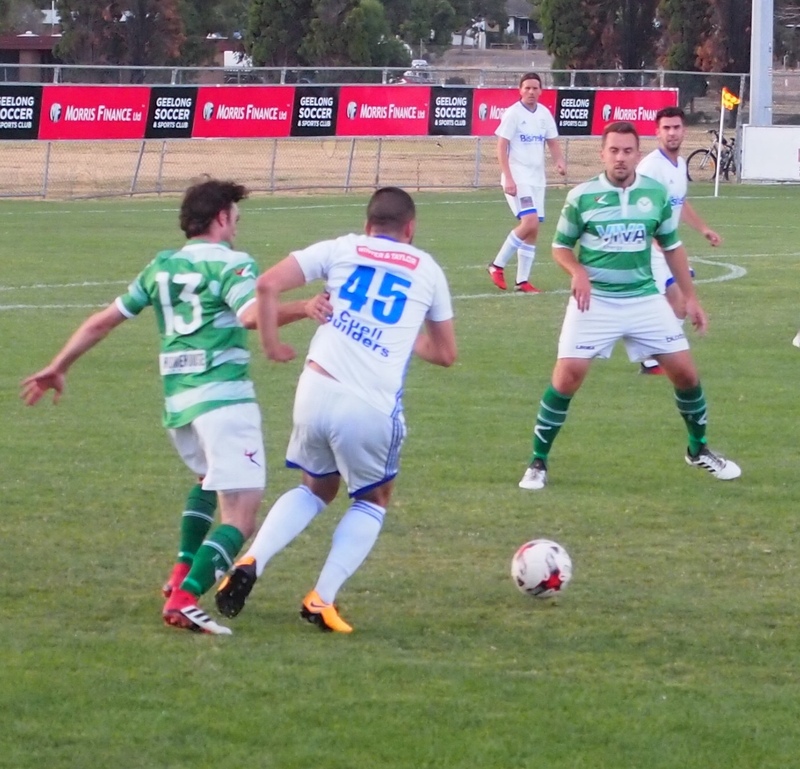 Geelong Rangers and Geelong previewed the Geelong Community Cup final when Rangers just pipped the host side to top the ladder in the final round robin match at Stead Park on Friday night. Rangers conceded its first goal of the tournament when Daniel Hattersley fired a free kick past Hayden van der Chys in the 4th minute. But Geelong squandered a number of chances in an open first half, while young keeper Heath Hayes dealt brilliantly with several efforts by the Dark Blues attack He denied Jasko Ikanovic’s free kick and an overhead shot by Nick Kozdra. Six minutes into the second half James Hidic scored with a tidy header to bring Rangers level and from then on they looked the more likely to win the game as Geelong took off its senior players to give some youngsters a run. There were only four minutes left when Ikanovic fired the ball under the keeper for the winning goal. These two sides will meet in the grand final a week on Friday at 8 pm, preceded by a women’s game between Geelong and Bell Park. In the early game Corio overcame Bell Park by two goals to nil. 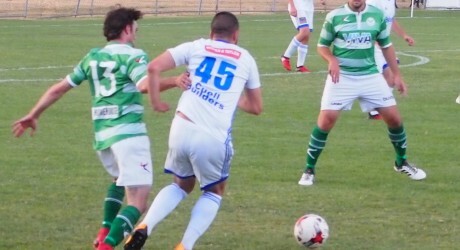 Ronnie Clayson had the ball in the net after ten minutes for Corio, but his header was from an offside position. Two minutes into the second half Bell Park’s young keeper Finn Paton was unlucky when he deflected a shot on to the cross bar only for the ball to drop neatly into the path of Reza Khalageh who finished from close range. Billy Argyros nearly made it two when the ball seemed to cannon off his body and just outside the past. Steve Luczo made no mistake from distance when he met a cross from the left and blazed it into the net. Matthew Pilven of Corio (13 green) and Pasquale Carbone (45) of Bell Park contest a loose ball in midfield. 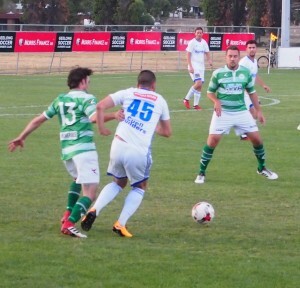 Corio and Bell Park will be in opposition again on Wednesday 28 February in the match to decide third place at 8 pm. Before that at 6.30 pm Barwon Women will play Geelong Rangers Women.